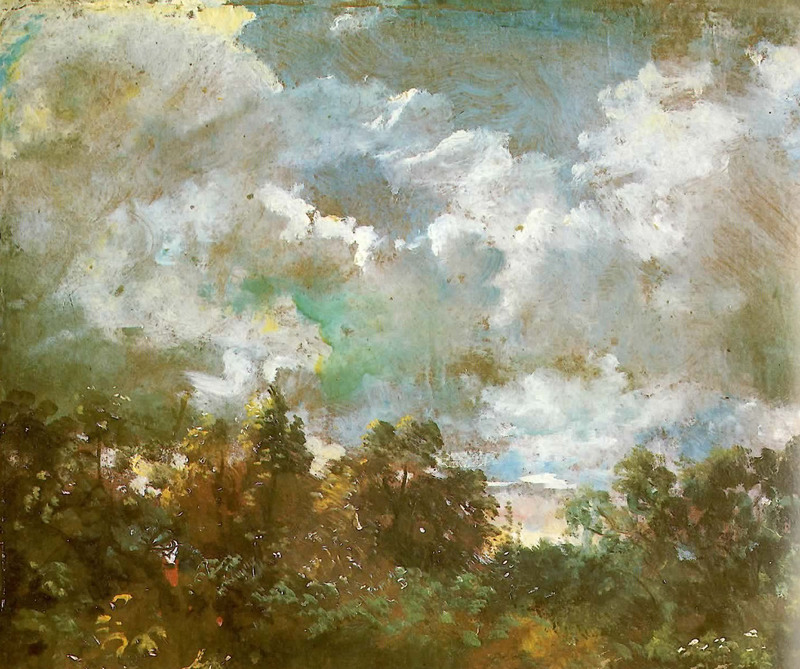 You only have to take a look at John Constable’s sketches of cloud formations to see what I mean. This is drawing from observation, quickly and deftly done on the spot, no fancy footwork, just a pure expression of what he sees and how he feels, and consequently, breathtakingly beautiful pictures. In my view, more impressive than his large Hay-Wainesque ‘Masterpiece’ studio pictures – as wonderful as they are. I think we tend to overlook Constable as a true pioneer in artistic terms because his pictures are so very familiar to us now. It took him a lifetime to become accepted in his own artistic circles, and then possibly only because he could not be ignored. Landscape as a ‘stand-alone’ subject was not that usual at the time, being more an adjunct to more religious subject matter. Andrew Graham-Dixon says that Constable was “the first person to make landscape a vehicle for emotional self-expression”, and thus a subject in it’s own right.